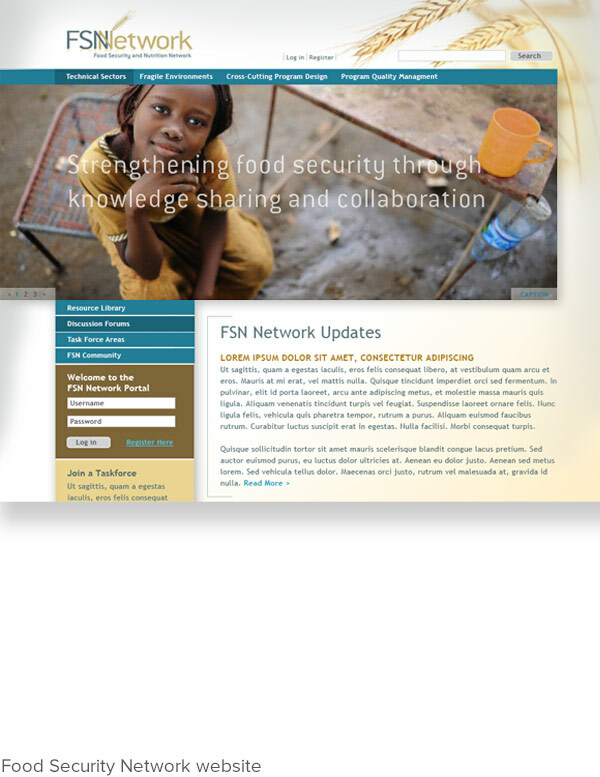 The Food Security Network is an open community of food security and nutrition implementers seeking to create opportunity to share information, shape agendas and build a consensus on promising practices. 2Creative was tasked by Save the Children and CoreGroup with developing a website design, logo and other supporting materials to brand the newly formed network. Wheat, a staple food security commodity in many countries, was used in their logo with a corresponding wheat photograph. A softer approach was taken to make the brand look thoughtful and inviting. Blue, the favorite of the international humanitarian community, was used along with a the wheat color to tie the products together. Beautiful imagery from around the world was incorporated to showcase their website.